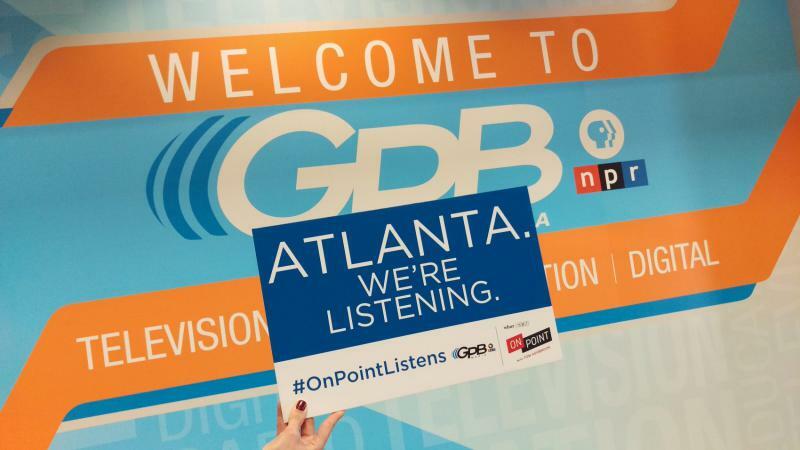 GPB News hosted "On Point" when the show came to Atlanta on Oct. 27, 2017, on its national listening tour #OnPointListens. The topic of discussion focused on what it means to be middle class today and how the middle class fares under President Trump. "It felt great when there was a big, strong middle class in America. Like we were all in this together. Of course, it wasn’t that simple. There were plenty of people cut out. But now, the middle class has taken a beat down as income inequality has grown. More at the top and bottom. A thinner middle. It’s true all over, and it’s true in Atlanta – where we’re broadcasting today. This hour, On Point: On the road for our national listening tour, we’re talking the middle class in America — in Atlanta." — Tom Ashbrook, "On Point" host.